"+" or "Pass" - the antivirus solution successfully removed the active infection, and the system was restored (or was not damaged). "-" or "Fail" - the antivirus solution failed to remove the active infection or the system’s integrity was seriously damaged. Download GIF image (500х500px) The Platinum Malware Treatment Award was awarded if an antivirus product's successfuly cured over 95% malware. 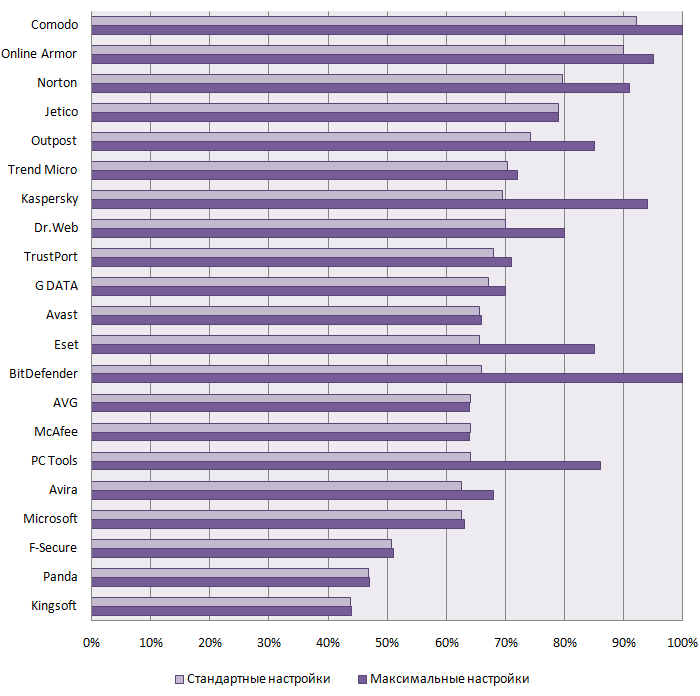 The Gold Malware Treatment Award was awarded if an antivirus product's successfuly cured over 80% malware. Download GIF image (500х500px) The SilverMalware Treatment Award was awarded if an antivirus product's successfuly cured over 60% malware. Download GIF image(500х500px) The Bronze Malware Treatment Award was awarded if an antivirus product's successfuly cured over 40% malware.